You probably know Delray Beach’s own – Amanda Perna from her appearances on Project Runway in seasons 9 and 14. (some videos here, here and here). She also was a judge for last year’s contests and will return to judge this year’s contests. Amanda has graciously offered to give this years fundraiser auction bike some “style” as only Amanda can do. 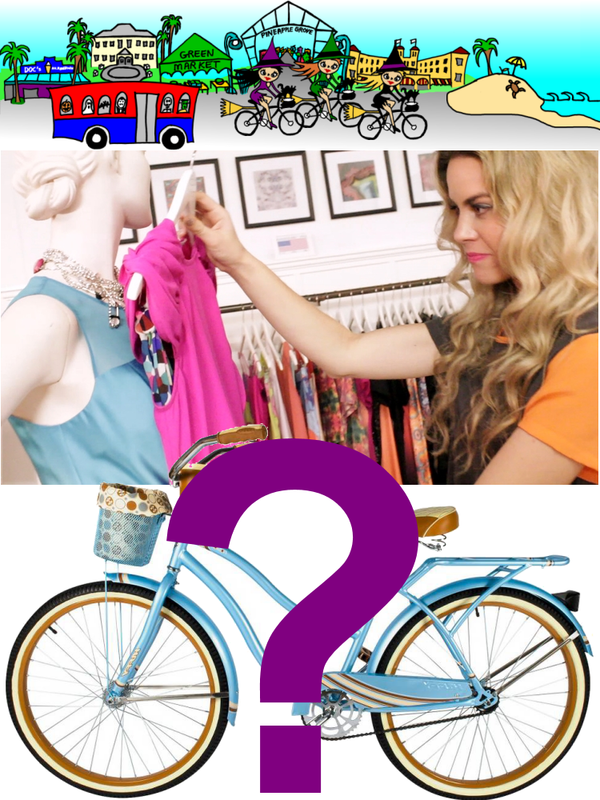 When you bid on this year’s fundraiser bike, you’ll be bidding on an Amanda Perna original. Please plan on attending this years pre-event fundraiser at Tim Finnegans Irish Pub to see the bike and bid on this one this unique item in the silent auction. We hope you’ll be excited to ride this bike in the event but please understand, due to the “unfair advantage”, this bike will not be eligible for entry in the best bike (Broom) contest. For more information about the Witches Brew Kickoff Fundraiser go HERE.